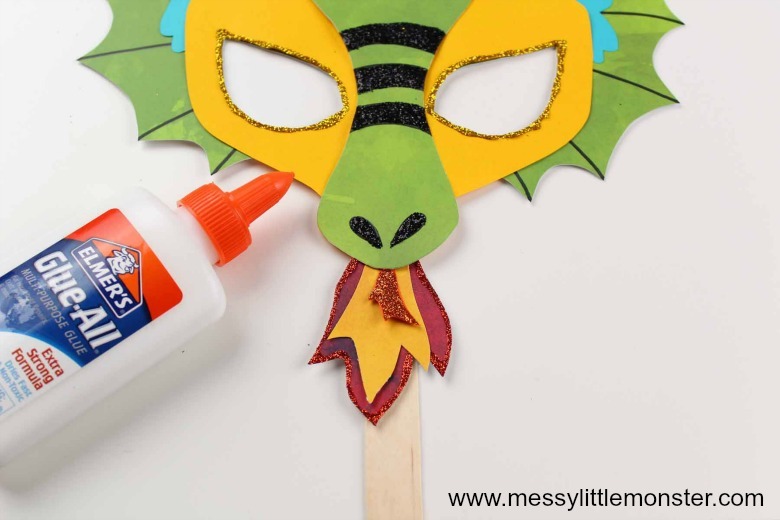 Celebrate Chinese New Year with the kids by making a dragon mask! 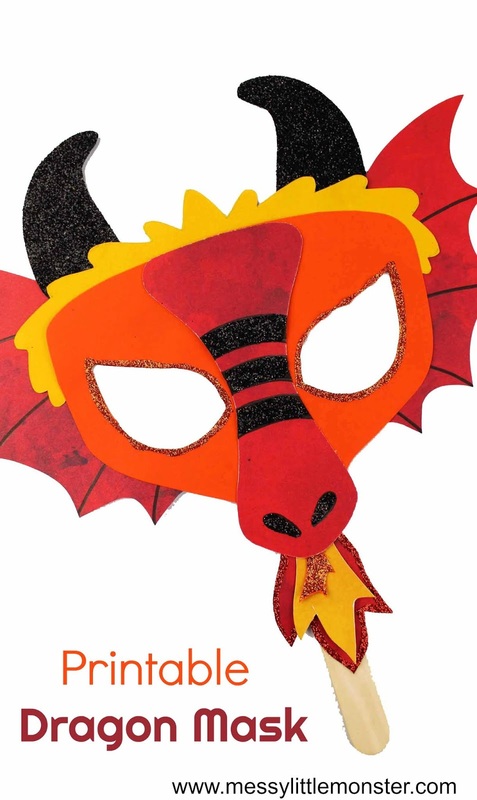 We have a printable dragon mask available to download and colour as well as instructions and a dragon template to make a dragon mask using coloured cardstock. 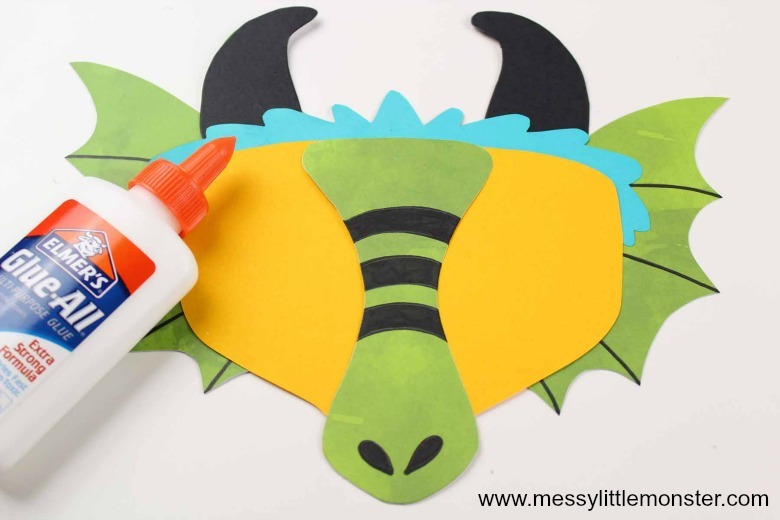 This dragon craft is perfect for Chinese New Year which falls on February 5th this year, but of course you don't need to be celebrating Chinese New Year to make one of these adorable dragon masks, they would be fun to make any time of the year! You could even pair this dragon craft with a dragon themed book for even more fun! Dragon crafts are always fun! You might like to take a look at our egg carton dragon and our paper plate dragon puppet craft. If it is more printable masks you are looking for take a look at our printable butterfly mask or printable monkey mask. We have a unicorn mask coming soo too! 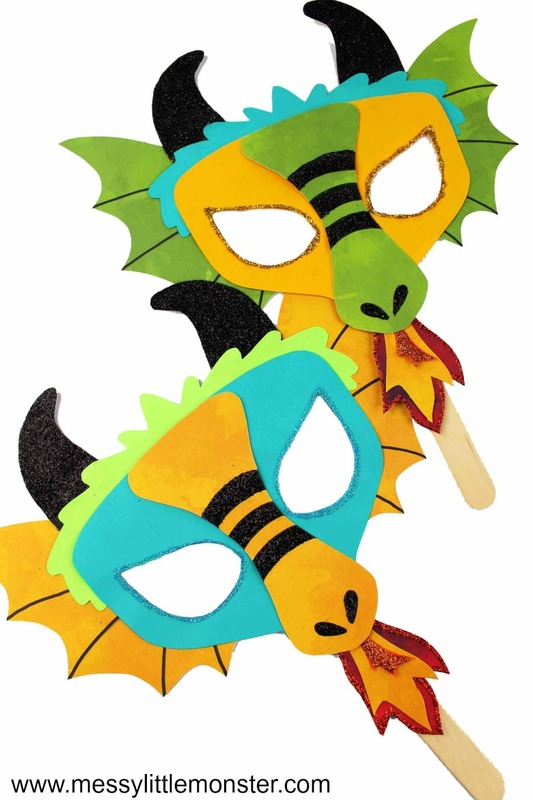 There are two options for making these dragon masks. 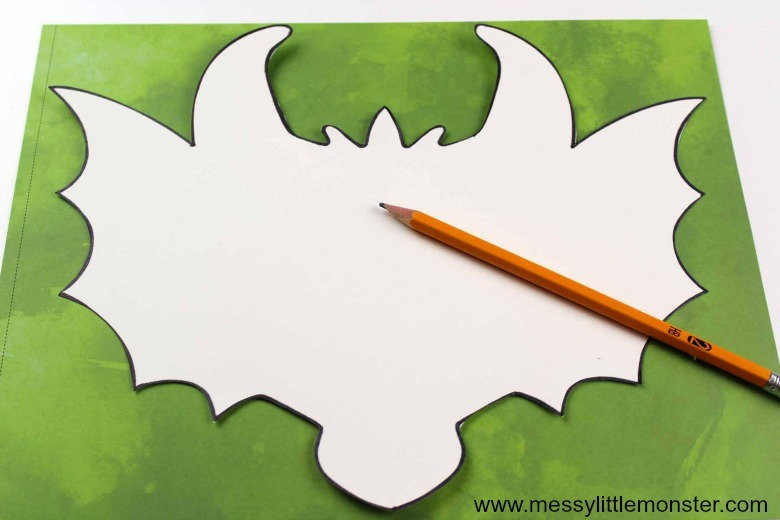 You can either print out the dragon template and follow the instructions below to make a dragon mask from cardstock or print out the ready to colour dragon mask printable. Begin by gathering all your supplies needed for this dragon craft. 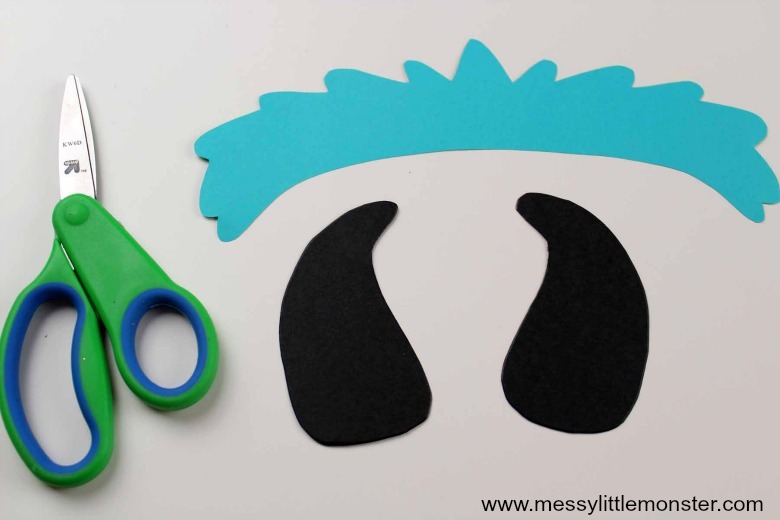 You can find the free printable dragon mask template below. 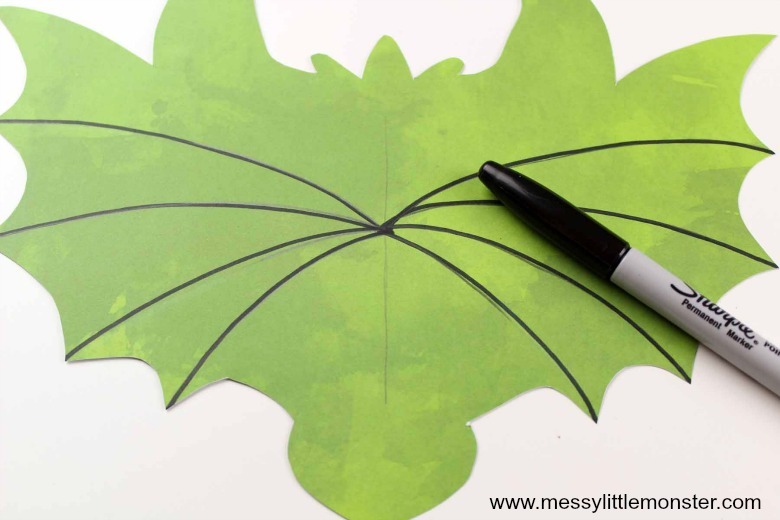 Download the dragon template, print it and cut it out. 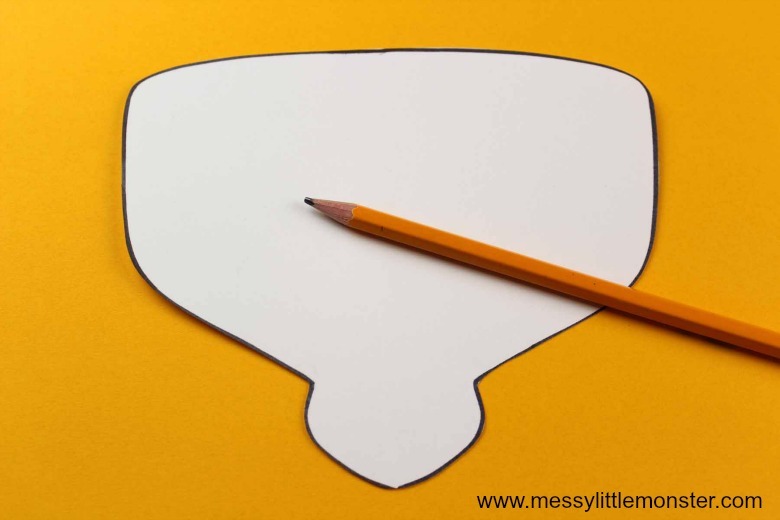 Trace the template onto coloured cardstock and cut out all of the pieces. Cut out the dragons head, face, nose, scales and horns and set aside. Refer to the photographs below. After cutting out all of the pieces needed for your dragon mask you can start adding extra details. 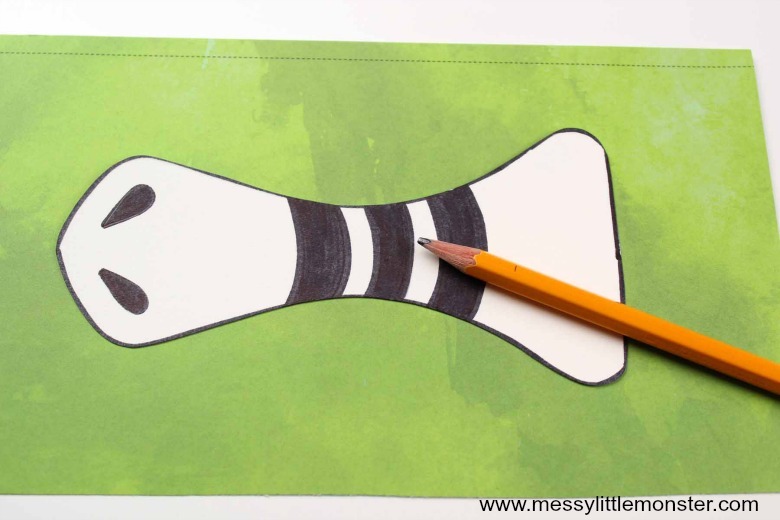 Take the dragon’s nose and use a black marker to add detail and nostrils. Then use your black marker to add details to the dragons head. Glue the dragon’s head scales down and then glue the top of the dragon’s head over them, then glue the nose in the middle of the dragon’s head. Cut fire from cardstock and glue the fire behind the dragon’s head, just below the nose. Then cut out eye holes. Add a bit of sparkle to your dragon mask by squirting glue around the eye holes and on the flames and sprinkle with glitter! Glue a craft stick onto the back of the mask and allow the glue to dry. Your dragon mask is finished! 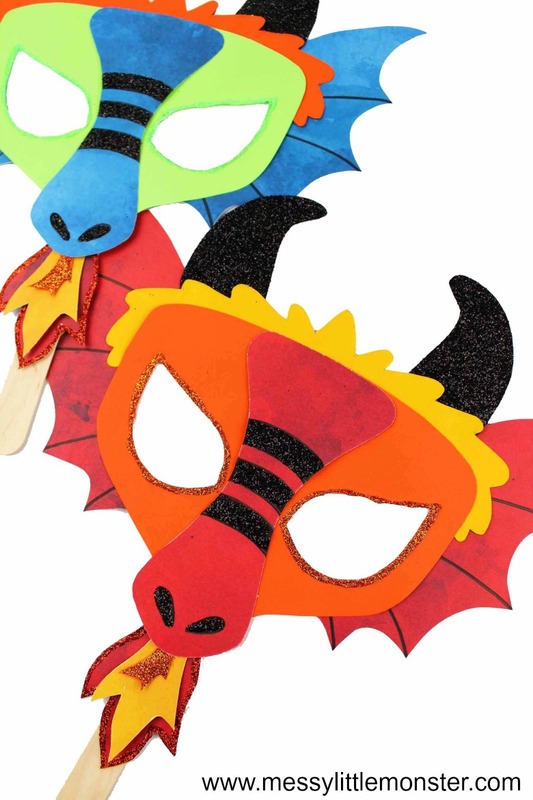 Have fun playing with using different coloured cardstock to make your dragon mask. The red dragon mask is perfect if you want to make a Chinese New Year craft and I love the green dragon! Here are a few dragon book suggestions that might be fun to read alongside making your dragon craft. I always love combining story books and crafts! 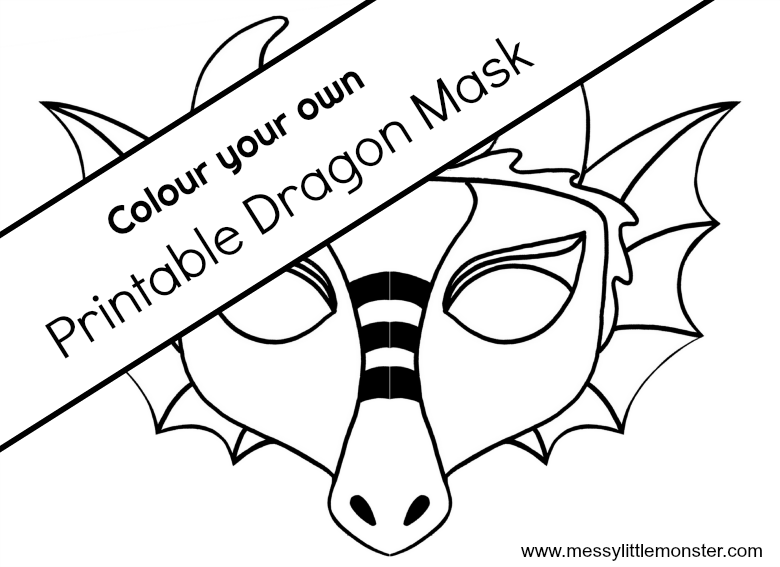 If you want a quick dragon craft why don't you use our printable dragon mask to colour instead? Both the dragon template and ready to colour dragon mask can be found using the link below. To download this printable dragon mask template for free add $0 and click on the 'I want this' box below. It may take a moment for the page to load so please be patient. For personal or classroom use only. Not for redistribution. All images are copyrighted. Thank you. 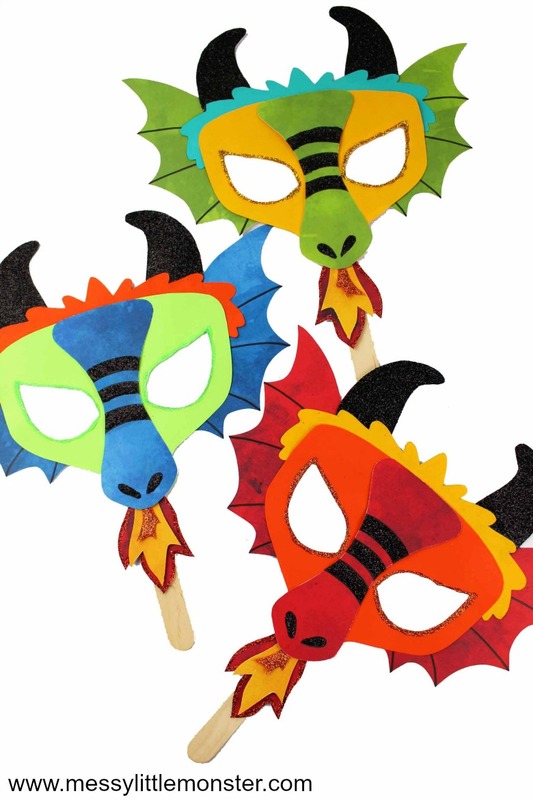 We hope that you enjoy making and playing with your dragon masks! Making Chinese dragon masks for Chinese New Year is a lot of fun, as is making a colourful dragon mask after reading a dragon book. 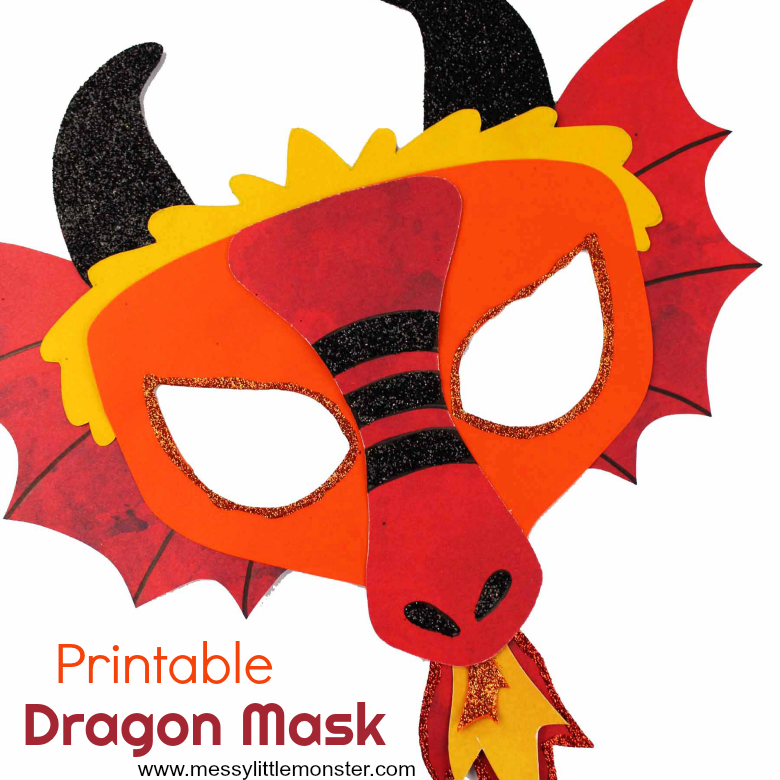 The printable dragon mask template and colour your own dragon mask printable make it so easy! Have fun!